Have you gone through menopause and are now experiencing unexplained bleeding? 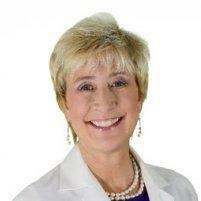 As an expert in menopause, Dr. Pamela Gaudry, MD, NCMP, FACOG, at the Georgia Center for Menopausal Medicine in Savannah, Georgia, can provide answers. If you have postmenopausal health concerns, call her office or book an appointment online. Postmenopausal bleeding is any type of bleeding after you’ve gone through menopause, which occurs after 12 consecutive months without your period. While some women may experience bleeding after menopause due to fluctuations in hormone levels, it’s important for Dr. Pam to evaluate you to determine an exact diagnosis. Some causes of postmenopausal bleeding may be serious, such as cancer, and need treatment right away. Certain medications, such as hormonal therapy or blood thinners, may also cause postmenopausal vaginal bleeding. How is the cause of postmenopausal bleeding determined? To help determine the cause of your postmenopausal bleeding, Dr. Pam conducts a physical examination and obtains your medical history. While some of these diagnostics and tests may seem unpleasant, Dr. Pam does everything she can to make you feel comfortable, including keeping you informed throughout every step of the process. What is the treatment for postmenopausal bleeding? Hormone therapy in the form of pills, creams, or rings are used to treat postmenopausal bleeding that vaginal or endometrial atrophy cause. If cancer is the cause of your postmenopausal bleeding, you may need a hysterectomy, chemotherapy, or radiation treatment. Whatever the cause, Dr. Pam works with you to develop a personalized treatment plan. If you’re experiencing postmenopausal bleeding, call the office today or book an appointment using the online booking agent.